There are things that I never thought I’d miss in London until I decided to move to Boston: the large pile of Sunday papers that we read throughout the week; the long chats with neighbours who never step into the house regardless of my many insistent ahla w sahla; Tony my window cleaner, and the furtive glances of people on the tube. I will also miss the festive streets, which become suddenly quiet over the two days of Christmas, as I will miss the fuss over mince pies, the little buttery crusts filled with mincemeat, a fruit and spice mix which are traditionally served at Christmas but now seem to appear on supermarket shelves earlier and earlier in the year. I had a taste of my first mince pie in 1976, between two skips of the ‘hoky coky’, at a Christmas party in the student hall. I was uneasy eating a sweet pastry with meat, despite the fact that at home we often garnished our minced meat pilau with sultanas and flavoured it with fragrant spices such as allspice, nutmeg, clove and cinnamon. As soon as I bit into it I realised that there was no meat at all. It took me a while to fully savour their sweet spicy flavour. 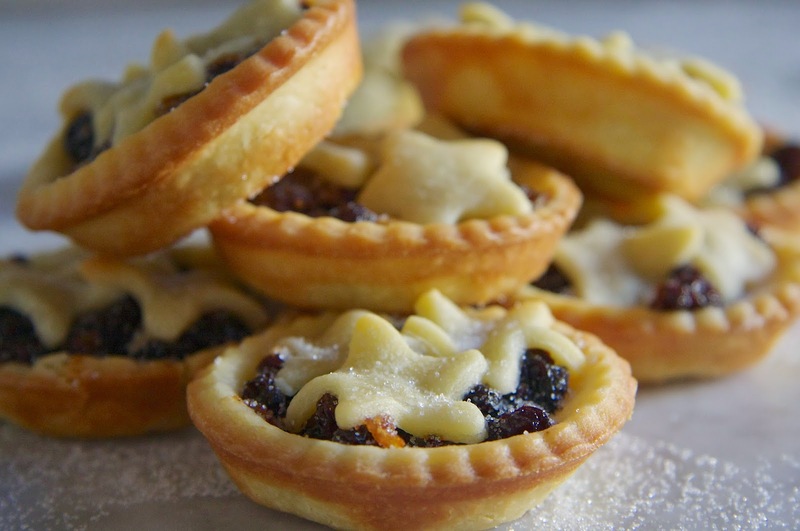 Why are they called mince pies? The fact is that 17th century recipes list minced mutton and beef suet as ingredients mixed with raisins, orange rind and spices; sugar was only introduced and in the 18th century. Throughout the years I have learned not only to love a mince pie but also to include it in my Christmas menu, often as a sense of belonging and a token of affiliation to my adopted home. I am now in Lebanon getting ready to celebrate Christmas; usually I would skip mince pies in favour of Lebanese sweets, but this year I decided bake some and give the filling a Mediterranean twist. 1. Cut butter and sugar together in short pulses in a food processor. 2. Combine one egg yolk at a time. 3. Incorporate the flour and process until it all comes together as soft dough. 4. Shape it in a ball and wrap it in a plastic film. 5. Refrigerate for one hour. 6. Dust a rolling pin with flour and roll out the dough until very thin, about 2 mm. 7. Cut out into rounds and place them delicately in a mini pie tin. 8. Roll out again to cut star shapes. 9. 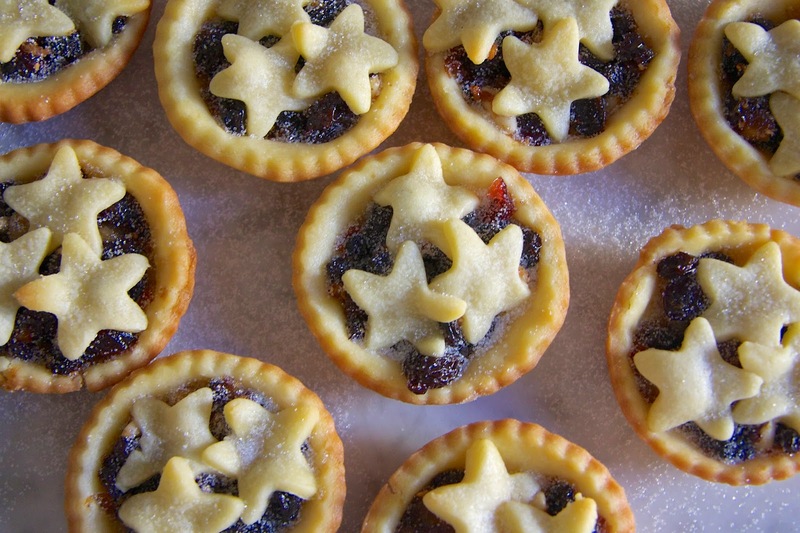 Fill each tartlet with a teaspoon of fruit mix, top with a star and bake in a pre-heated oven at 180 C for 15 minutes. 1. Mix all the ingredients except for the butter and leave to macerate in alcohol for a couple of hours. 3. Add the spices and incorporate the butter. Mix and transfer to jar and leave in the fridge until ready to use.